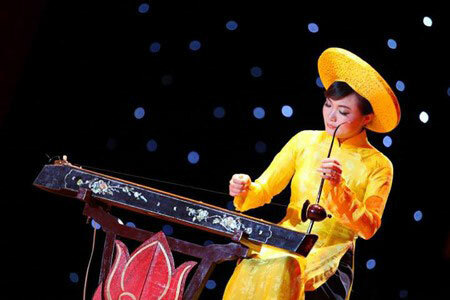 Vietnamese agencies, including the National Institute of Music, Folk Arts Association of Vietnam and Vietnam Musicians’ Association, are aiming to ally with the Ministry of Culture, Tourism and Sports to propose to UNESCO to recognise dan bau, the nation’s monochord zither, as a world heritage. The campaign was announced by Chairman of the Folk Arts Association of Vietnam To Ngoc Thanh in a workshop on dan bau and its role in Vietnam culture held by National Institute of Music on October 21. Relevant agencies need to co-ordinate a proposal for UNESCO recognition for dan bau to assert cultural sovereignty for this instrument, said To Ngoc Thanh. In addition, initiatives like granting awards or financial support to encourage artists and teachers to engage more in composing work for dan bau are essential./.